How do I reset course content? 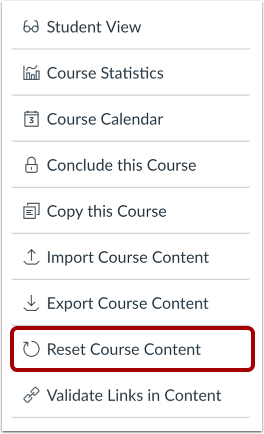 If you have permission as an instructor, you can reset course content with your course settings in Canvas. However, resetting course content permanently removes all content and it cannot be recovered. Course details and enrollments will remain intact within your course. 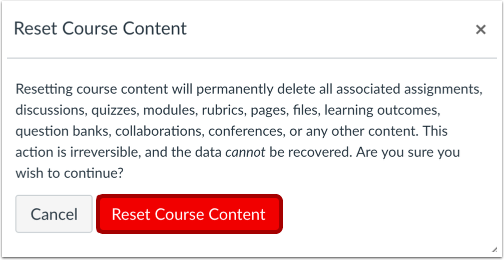 Following the reset, your course will be unpublished and will not be visible to students. If you added the course to the Dashboard, it will still appear in the Dashboard after a reset. Note: Course content cannot be reset in Blueprint Courses. 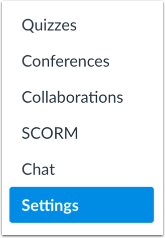 In the sidebar, click the Reset Course Content link. Click the Reset Course Content button. Previous Topic:How do I view a course as a test student using Student View? Next Topic:How do I manage new features for a course? Table of Contents > Settings > How do I reset course content? Re: why is canvas duplicating all my course material upon import to a brand new shell? Re: I uploaded material from one course to a different course by mistake. What now?